Benzathine penicillin G 1.2 MU once every 3 weeks is an effective and well-tolerated prophylaxis of recurrent erysipelas. Photo Credit: CDC/ Dr Thomas F. Sellers, Emory University. A pair of investigators from Na Bulovce Hospital and Charles University in Prague, Czech Republic, evaluated 132 records from patients (52.3% men, n=69, and 47.7% women n=63, average age 60.2, range 20 to 92) treated for erysipelas, a form of soft-tissue cellulitis associated with b-hemolytic streptococci2 at least once in the dermatology department prior to the study period from January 2009 to December 2015. 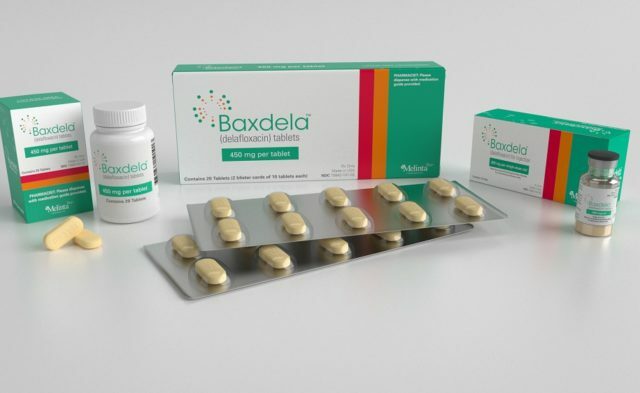 The patients were then scheduled for a total of 1,200,000 units (1.2 MU) of BPG prophylaxis for recurrent erysipelas administered in 10 doses at 3-week intervals over 30 weeks; 109 patients (82.6%) completed the course. The 3-week dosing schedule was selected based on pharmacokinetic studies indicating that levels of ≥0.02 lg/mL serum penicillin were consistently achieved.3,4 As the majority of the patients in the study were overweight (37.1%, n=49), defined as a body mass index (BMI) of 25.0 to 29.9, or obese (51.5%, n =68, BMI >30), appropriate dosing became a challenge. A previous study had revealed treatment failures (with the patch) in patients with a BMI >33,5 suggesting the need for higher dosing than the normal 3-week intervals would allow. The investigators considered a more frequent regimen of every 2-weeks dosing, which they argued might increase serum penicillin levels, but at the cost of patient adherence. The solution was to double the dose per administration to 2,400,000 units in hopes of achieving a higher concentration of serum penicillin on day 21. The recurrence rate was significantly lower in the prophylactic treatment period than in the 30-week follow-up (5 vs 15 cases, P <.001), representing an incidence of 8 per 100 patient-years during the prophylactic period and 28 per 100 patient years in the follow-up period (incidence rate ratio = 0.20; 95% CI: 0.05-0.34; P <.01). The study evaluated the impact of local risk factors on recurrence, including lymphedema, onychomychosis, tinea pedia, leg ulcer, dermatosis, or venous insufficiency. At least 1 risk factor was present at the start of prophylaxis in 82.6% of the study population, with lymphedema being the most common (59.8%). The only significant association to recurrence was the presence of any local risk factor in patients with obesity (odds ratio (OR) 3.40; 95% CI: 1.10-10.50; P <.05). The investigators concluded that while further study to determine optimal treatment duration is still needed, BPG 1.2MU once every 3 weeks is effective for the prophylaxis of recurrent erysipelas, particularly in obese patients with local risk factors. Treating Uncomplicated Cellulitis: Is Adding TMP/SMX Beneficial? Currie BJ, Burt T, Kaplan EL. Penicillin concentrations after increased doses of benzathine penicillin G for prevention of secondary rheumatic fever. Antimicrob Agents Chemother. 1994;38:1203-1204.